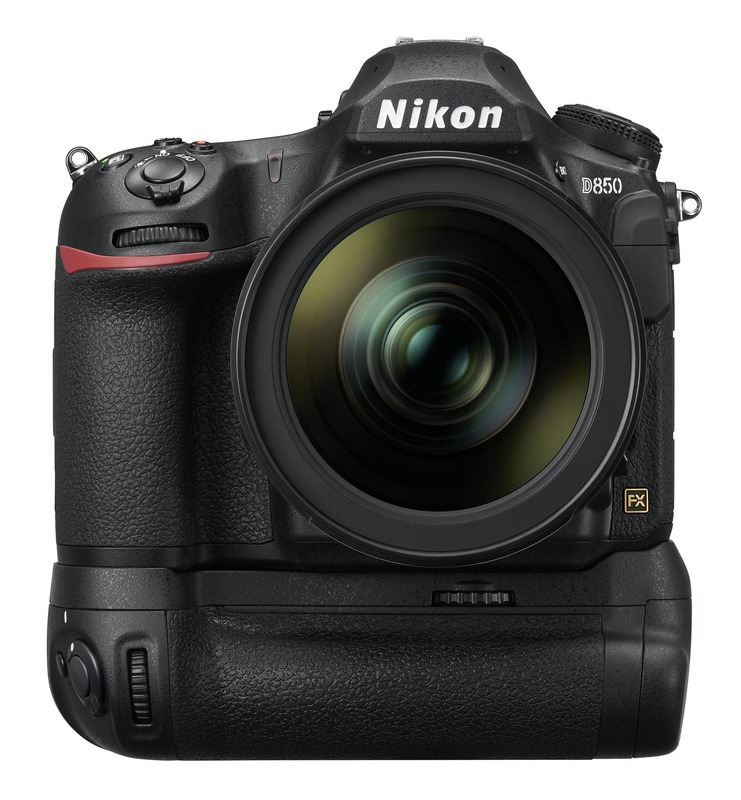 Unless you've been living under a rock recently, you no doubt know that Nikon recently unveiled their D850 DSLR camera. 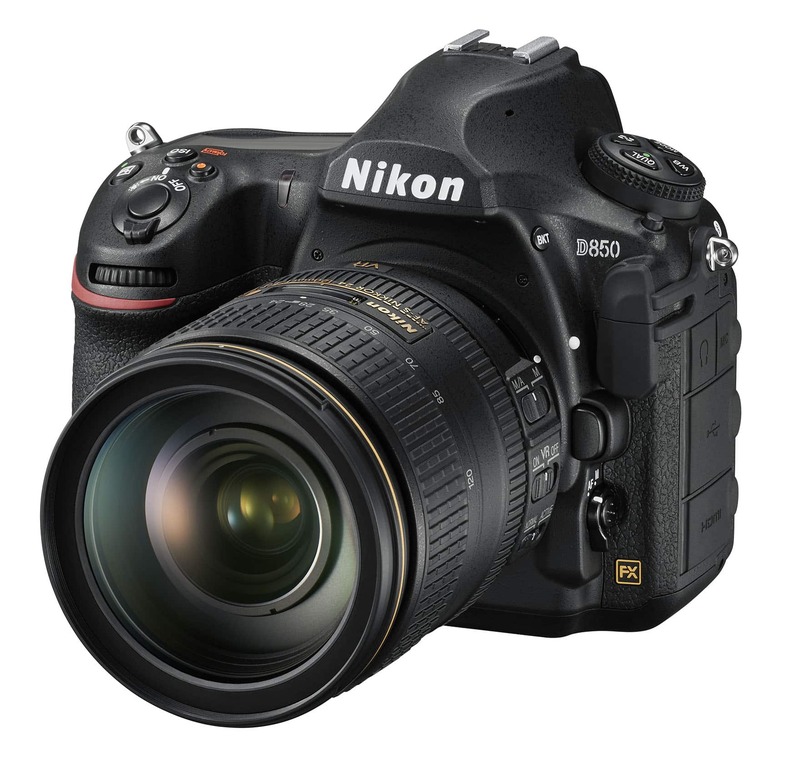 It's a fantastic camera, to say the least, and has already established itself as one of the best cameras Nikon has on the market today. In fact, it's one of the best cameras that they've ever produced. That this camera is so good certainly has the likes of Canon concerned. So, they'll really need to bring it when they unveil the EOS 5D Mark V.
Now, the Mark V isn't out yet, nor is there an official release date. But the rumors are running hot, so I thought it would be fun to compare what we know about the Nikon D850 with what people expect from the Canon 5D Mark V.
There's a lot to love about the key specifications listed above. But paramount among them is the Nikon D850's incredible sensor. Not only did Nikon step it up with more megapixels than on the D810, but it also added a back-illuminated sensor, a first for Nikon. In fact, DxOMark gave the D850's sensor a perfect 100/100 score - a first. That makes this sensor better than the acclaimed Sony a7R II (98/100) and the Nikon D810 (97/100). DxOMark went so far in their review to say that the D850's sensor "breaks new ground for image quality." That's not a bad endorsement! Editor's Tip: Since the D850's sensor produces images of unparalleled quality, you want to pair it with a top-quality lens. The Nikon AF-S 35mm f/1.4G certainly fits the bill, with a wide, fixed f/1.4 aperture, upgraded optics, and lightweight construction that will make it the top choice of your collection of lenses. With versatility that allows it to be used for landscapes, portraiture, and everything in between, it's one of Nikon's best lenses to go with one of it's best cameras. 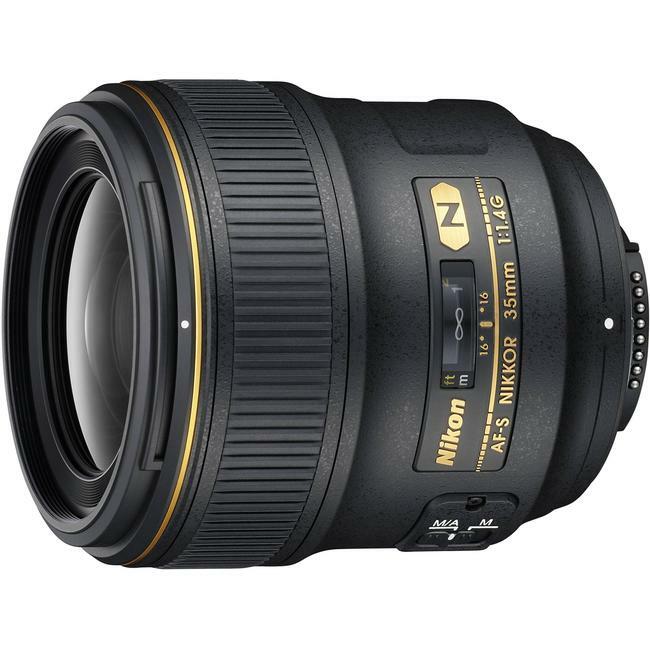 You can learn more about the Nikon AF-S 35mm f/1.4G by visiting MPB. The D850 delivers in other areas as well. Its sensor produces beautiful colors, excellent dynamic range, and offers ISO performance that's virtually unmatched. That makes it an ideal camera for photographers of all trades, from studio portrait photographers to sports photographers to nature and wildlife photographers. Another area where the D850 shines is in its autofocus system. Powered by a Multi-Cam 20K sensor, its autofocus system sports 153 AF points, 99 of which are cross-type. All those cross-type sensors means that the D850 excels in situations in which you're photographing a moving subject. 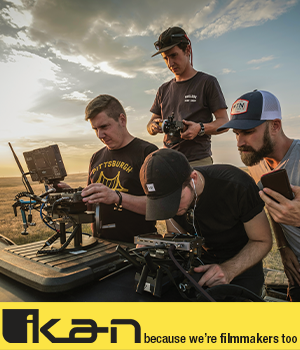 It can shoot at 7fps (9fps with a battery grip), so it's a beast when it comes to rapid-firing your shots. Editor's Tip: If it's a high-performance lens you're after for action photography, look no further than the Tamron SP 70-200mm f/2.8 Di VC USD Lens. Its large f/2.8 maximum aperture enables shooting even in low-light situations. Its superior optics are perfect for the Nikon D850's sensor, resulting in images that have impeccable quality. The ultra-sonic motor and vibration compensation features mean it's not just fast, but quiet and stable as well. 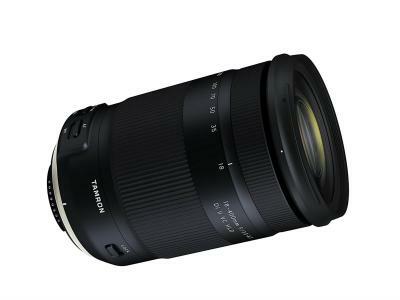 Get the specs and pricing on this and other Nikon-fit lenses. This rig has a slew of other incredible features that simply make it easier to use - and more fun to use as well. That includes dual card slots - one for UHS-II SD cards and another for XQD cards. It can shoot 4K video at 24, 25, or 30fps, too. Its LCD is bigger, more resolute, and can tilt. It's also touch-enabled and even offers touch AF in live view. See that and other awesome features on the D850 in the video above by Kai W.
Throw built-in focus stacking, RAW processing, focus peaking, and a buffer that can handle 170 RAW files, and you have the makings for one heck of a camera. Oh, it's got illuminated buttons, too! The question is, can Canon come up with something to compete with all that? Granted, there's nothing concrete as of this writing about the Mark V's specifications. But in looking at the 5D Mark IV's spec sheet, we can surmise a few things. 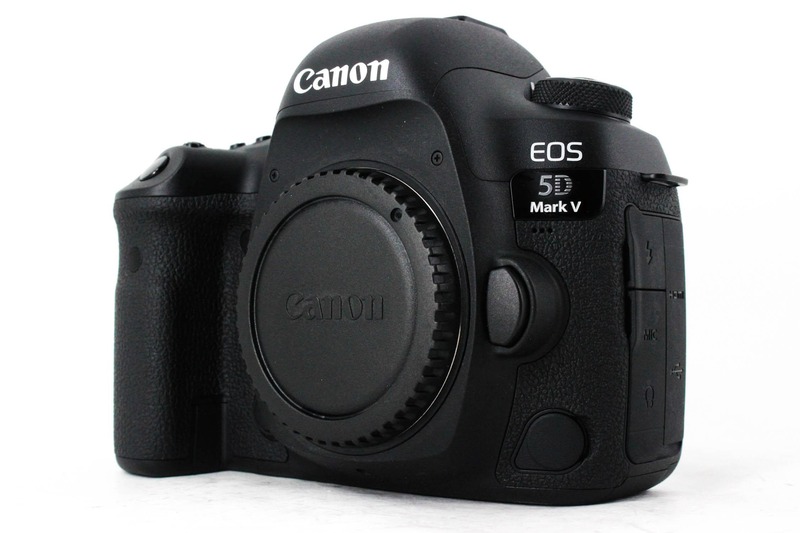 First, the 5D Mark V will have 4K video capabilities without a doubt. That's where digital cameras are headed, and if Canon wants to keep up with Nikon and Sony, 4K video is a must. Another virtual guarantee is that the Mark V will have at least 7fps shooting, if not much more, possibly in the 10fps range. Since the Mark IV is equipped with the DIGIC 6+ processor and newer Canon models have the DIGIC 7, it's also reasonable to assume that the Mark V will have the 7+ or perhaps even an all-new DIGIC 8 processing engine. 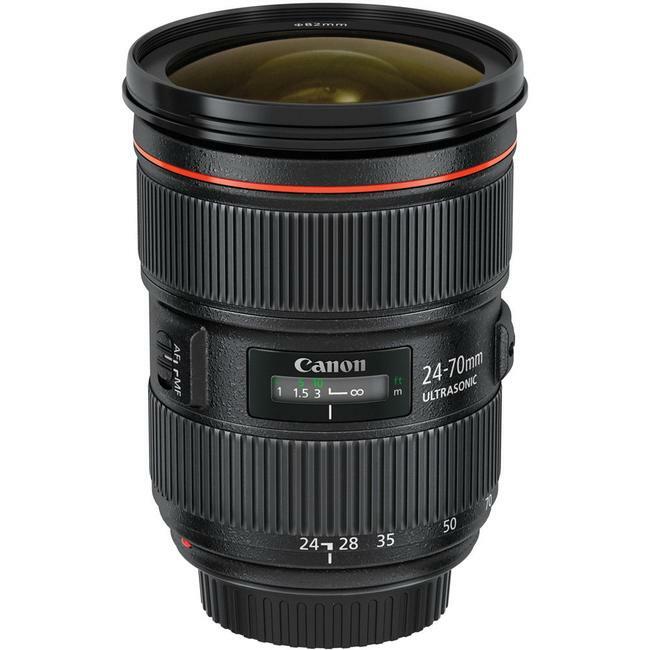 Editor's Tip: If you're a Canon shooter looking for an excellent all-around lens, consider the Canon 24-70mm f/2.8 L II USM. As an L-series lens, it has upgraded optics and sturdier construction. The large f/2.8 aperture allows tons of light into the lens, making it a great choice for low-light shooting. And with a focal range of 28-70mm, it's an incredibly versatile lens that can be used for all manner of photography pursuits. You can even find this lens at discounted prices. Check inventory of pre-owned models here. Beyond that, things get a little murky. Some rumors point to an all-new carbon fiber body that will be lighter and more durable while retaining a similar form factor to the Mark IV. It's also expected that Canon will update its LCD offering, to something in the range of a 3.2-inch articulating touchscreen not unlike the one found on the Nikon D850. I think it's also safe to say that the Mark V will exceed the 50-megapixel mark, given that the 5DS and 5DS R have already done that. That will be an interesting addition to the 5D Mark V, placing it above the Nikon D850 in terms of megapixels. Also of interest is the potential for the camera to feature in-camera image stabilization, which would be nice for all those non-IS lenses you might have. Editor's Tip: If you need an image stabilized lens, you can trade in your old one and put the money you get from that towards a new-to-you used lens. 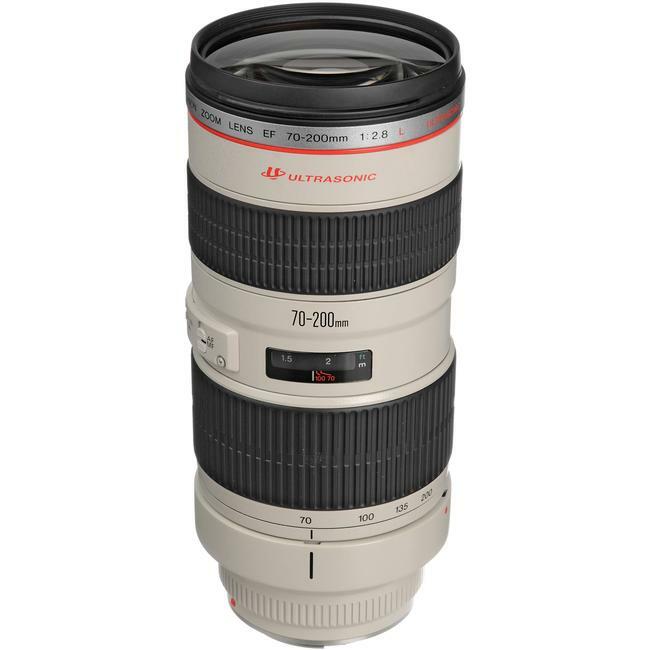 The Canon EF 70-200mm f/2.8 L IS USM is a great telephoto lens for sports and wildlife photographers that want a lens that's stabilized, has a large aperture, and offers a wide zoom range. 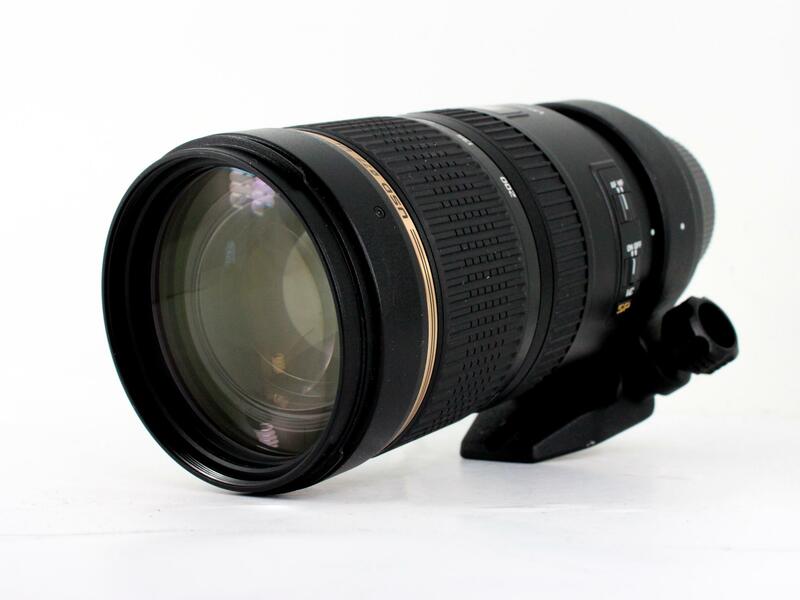 You can check out the prices on pre-owned 70-200mm f/2.8 lenses as well as other Canon lenses by visiting MPB. There aren't many other rumors yet about the Canon 5D Mark V, but the hot stove is sure to heat up the older that the Mark IV gets - and the more accolades that the Nikon D850 gets as well. The 5D Mark IV is barely more than a year old, and considering that it debuted more than four years after the 5D Mark III, Canon fans may have a long wait in store for the 5D Mark V to arrive. In the meantime, perhaps the best way to judge what the 5D Mark V might have in store for us is to examine more closely what the 5D Mark IV offers. 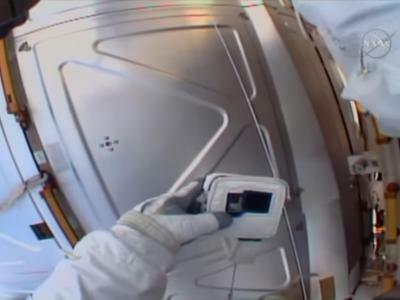 You can get a quick look at some of the top specs of the Mark IV in the video above by MPB. I know it's just speculation, but it's still fun to see how these two cameras *might* stack up once the 5D Mark V is released. As you can see, if Canon puts out anything near to what's being rumored, it looks like these cameras will go toe-to-toe. 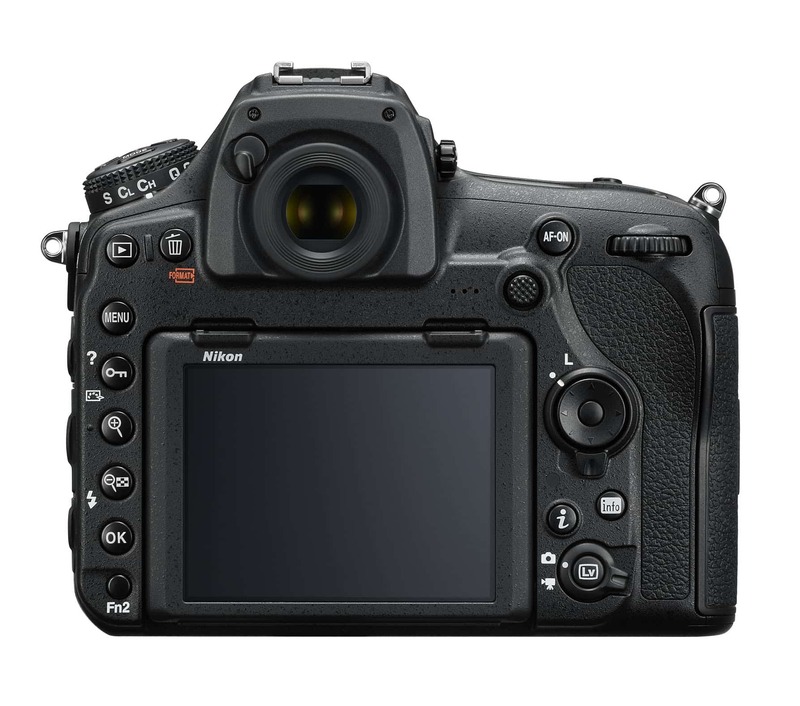 As previous versions of these cameras - the D810 and the 5D Mark III, for example - have shown, Nikon and Canon will surely continue to battle it out for supremacy in the high-end DSLR market. But instead of supremacy, it seems to me that we're seeing them far more even-keeled and putting out cameras that are much more alike than they are different. 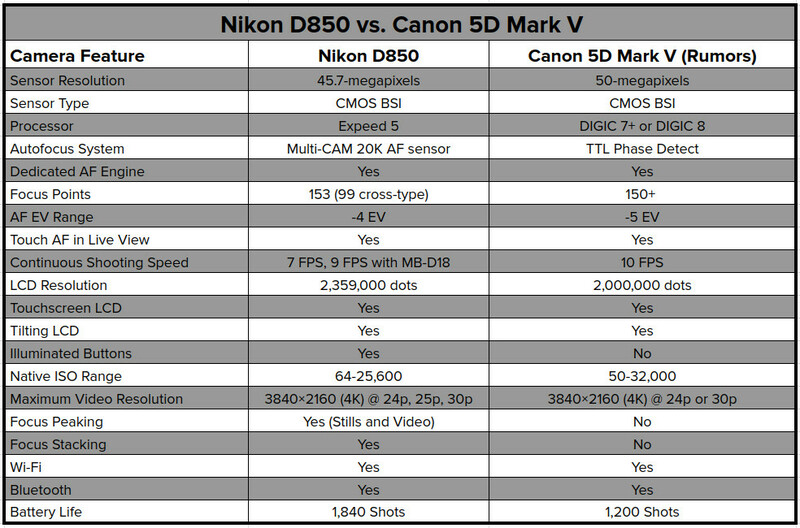 I suppose only time will tell if the D850 and Mark V are as closely aligned as I think they'll be!